Despite what you may have heard to the contrary, software patents have a very long history in the United States. Computer implemented processes, or software, has been patented in the United States since 1968. The first software patent was granted by the United States Patent and Trademark Office (USPTO) on April 23, 1968 on an application filed on April 9, 1965, Martin A. Goetz, a pioneer in the development of the commercial software industry, was the inventor of the first software patent ever granted, U.S. Patent No. 3,380,029. Several years ago PBS Digital Studios profiled Goetz and his pursuit of the first software patent. To listen to the critics of software patents you would never know that software has been patented in the United States for nearly 50 years. The critics erroneously claim that the Federal Circuit first allowed software patents by effectively overruling the Supreme Court, but the Federal Circuit didn’t come into being until 1982, which is some 14 years after the first software patent issued, and after Supreme Court consideration of both Gottschallk v. Benson and Diamond v. Diehr. Today software patents are under attack in the Courts. “[T]he Supreme Court and now this Court of Appeals for the Federal Circuit seem to be not considering the fact that the United States is leading in many of these emerging technologies and specifically thinking about software,” said Bob Stoll, former Commissioner for Patents and current partner at Drinker Biddle, during our recent webinar conversation on patent eligibility. Indeed, software is very important to the U.S. economy. According to the Government Accountability Office software-related innovations are found in 50% of all patented innovations. Without the availability of patent protection individuals, entrepreneurs, small businesses and start-ups will opt to keep their innovations secret rather than lay them open for inspection (and stealing) by much larger, well-funded entities who have long since lost the ability to innovate. It is against this backdrop that we embark on this historical perspective of software patents in the United States. This work updates and expands upon my previous writings in light of the most recent developments in the field. This series of articles will also form the foundation of a presentation I will give along with Bob Stoll at the PLI Patent Law Institute on February 3, 2015 in New York City and then again in March 17, 2015 in San Francisco, California. Since the United States Supreme Court first addressed the patentability of computer software in Benson the law surrounding the patentability of software has changed considerably, leaving many to wonder whether software is patentable at all any more. Originally in Benson, the Supreme Court decided that software was not patentable, but then later retracted the blanket prohibition against patenting software in Diehr. The Federal Circuit then spent the better part of two decades trying to figure out under what circumstances software (or computer related processes) should be patented. This seemed to culminate in the 1998 ruling of the Federal Circuit in State Street Bank & Trust Co. v. Signature Financial Group, Inc. Unfortunately, the waters were once again made murky as a result of the 2008 ruling by the Federal Circuit in In re Bilski. Some questions were answered when the Supreme Court issued its ruling in Bikski v. Kappos in 2010, notably saying that business methods are patent eligible, but the Supreme Court did not definitively say that software is patent eligible. Then in June 2014, the Supreme Court issued a decision in Alice Corporation v. CLS Bank, which has for the time being slammed the door shut for many, if not most, software patents. Ironically, nowhere in the Alice decision did the Supreme Court even use the word “software.” While the USPTO has started rejecting patent applications and revoking Notices of Allowance even after the issue fee has been paid, ironically big banks who have long decried financial services software patents are still able to obtain patents for themselves, which is leading many to ask whether there is a double standard or some discriminatory treatment between applicants in the software space by the USPTO. Benson was the case that started it all, and one quite frankly that the Supreme Court got wrong. Whether you agree with what the Supreme Court said or ultimately ruled, it is impossible to ignore the reality that the Court just didn’t understand computers, and certainly didn’t understand the invention in question. A trend that runs throughout all Supreme Court opinions dealing with software and most Supreme Court decisions that deal more generally with patent matters. The invention described in the patent at issue was related to the “processing of data by program and more particularly to the programmed conversion of numerical information” in general-purpose digital computers. The applicants for the patent claimed a method for converting binary-coded decimal numerals into pure binary numerals. “The claims in the patent application were, however, not limited to: (1) any particular art or technology; (2) any particular apparatus or machinery; or (3) any particular end use.” To the contrary, the claims of the patent application itself purported to cover any use of the claimed method in a general-purpose digital computer of any type. It seems that this fact alone lead to the ultimate decision. This invention was far too important to be patented because it had to be used in every computer – a truly ridiculous way to look at patentability. The Supreme Court began its analysis in Benson by recognizing that “while a scientific truth, or the mathematical expression of it, is not a patentable invention, a novel and useful structure created with the aid of knowledge of scientific truth may be.” The Benson Court also recalled the familiar and often cited language found in its decision in Funk Brothers Seed Co. v. Kalo Inoculant Co., “[h]e who discovers a hitherto unknown phenomenon of nature has no claim to a monopoly of it which the law recognizes. If there is to be invention from such a discovery, it must come from the application of the law of nature to a new and useful end.” Nevertheless, although the patent claims were truly related to a process that employed a mathematical formula to achieve the end goal, the Court held that the mathematical formula involved had no substantial practical application except in connection with a digital computer. In many regards it is comically funny today to read that the Supreme Court so misunderstood the importance of computers and software. If ever you needed conclusive proof that the Supreme Court does not understand patents and computers there is ample proof wrapped up in the belief that the process in Benson couldn’t possibly be patent eligible because it had no practical application except in connection with a computer. The Supreme Court could not appreciate where computing science was headed, which is exactly why inventions should not be denied patents based on lack of patentable subject matter. Those who have no vision and lack understanding can easily kill or at least substantially delay important innovations. Such short sightedness does nothing but frustrate the Constitutional mandate, which is that the patent system as a whole should foster innovation for the betterment of society. The decision in Benson meant that it was the opinion of the Supreme Court that if the patent was valid it would completely “pre-empt the mathematical formula and in practical effect would be a patent on the algorithm itself.” Of course, this was not at all true. The algorithm could have been used in other situations and circumstances. The patent would have merely prevented the computerized process that enabled a machine (i.e., a computer) to be functional. This innovation was clearly a foundational and pioneering invention. It was counter-productive and irrational to have rejected the patent because the invention was too important. Properly fostering innovation requires that the patent laws encourage leaps forward, not punish them. Foundationally important innovations are exactly the ones that should be patent eligible. In any event, regardless of your opinion of this case, the Benson decision prevented the patenting of computer software, at least for the time being. In the years that followed the way that patent attorneys would protect “software” was to write claims directed to a machine, pretending that it was the hardware that imparted the uniqueness rather than the software. As you will see throughout this history form over substance is a way of life in this practice area. In 1978 the United States Supreme Court was again considering software patent claims, this time claims to a method that relied upon a mathematical formulae. The case was Parker v. Flook, which related to a method for updating alarm limits during catalytic conversion processes. During the prosecution of the patent at the USPTO, the patent examiner rejected the application explaining that the mathematical formula constituted the only difference between respondent’s claims and the prior art, which meant to the examiner that issuing a patent would be for all practical purposes issuing a patent on the mathematical formula itself. The Board affirmed the examiners rejection, but the Court of Customs and Patent Appeals (CCPA), the predecessor to the Federal Circuit, reversed the examiner and Board because the applicant was only claiming a method to update alarm limits in a process comprising the catalytic chemical conversion of hydrocarbons, which meant that the mathematical formula would not be protected apart from this specific process. The CCPA reasoned that the mere solution of the algorithm would not constitute infringement of the patent claims and, therefore, a patent on the method would not preempt the formula. Several years later in Diehr, this was the exact reasoning used by the Supreme Court in a factually indistinguishable case. (see below). The Supreme Court reversed the CCPA and explained: “Respondent’s process is unpatentable under § 101 not because it contains a mathematical algorithm as one component, but because, once that algorithm is assumed to be within the prior art, the application, considered as a whole, contains no patentable invention.” Therefore, a process that utilizes a mathematical formula or algorithm could not be patented because mathematics and all uses of mathematics were deemed to be in the prior art by the United States Supreme Court. I cannot help but notice how ridiculous it is to say that all mathematic formulas and algorithms are in the prior art. Where Einstein’s seminal equations that unlocked the universe in the prior art prior to him giving them to us? Was Calculus in the prior art prior to Newton/Leibniz providing them to the public? Leave it to the Supreme Court to say something so grossly exaggerated and scientifically wrong, while at the same time condemning as worthless the contributions of mathematicians who are apparently doing nothing more than identifying what we all already knew anyway. Almost a decade after the Benson decision, in Diehr the Supreme Court first recognized that a computer program may deserve patent protection. In this case, the patent claimed a method of operating a molding press during the production of rubber articles. The inventors asserted that their method ensured that the articles would remain in the press for the appropriate length of time, which was accomplished using the Arrhenius equation. [A] claim drawn to subject matter otherwise statutory does not become nonstatutory simply because it uses a mathematical formula, computer program or digital computer. . . . [A] process is not unpatentable simply because it contains a law of nature or a mathematical algorithm. It is now commonplace that an application of a law of nature or mathematical formula to a known structure or process may well be deserving of patent protection. As Justice Stone explained four decades ago: “While a scientific truth, or the mathematical expression of it, is not a patentable invention, a novel and useful structure created with the aid of knowledge of scientific truth may be. Arrhenius’ equation is not patentable in isolation, but when a process for curing rubber is devised which incorporates in it a more efficient solution of the equation, that process is at the very least not barred at the threshold by Section 101. In this case, it may later be determined that the respondents’ process is not deserving of patent protection because it fails to satisfy the statutory conditions of novelty under § 102 or nonobviousness under § 103. A rejection on either of these grounds does not affect the determination that respondents’ claims recited subject matter which was eligible for patent protection under § 101. Consequently, the Diehr decision opened the door for the possibility that some computer programs, even programs that relied on mathematica equations for core calculations, were entitled to patent protection. Diehr also served as the first step toward the patentability of business methods and electronic commerce patents, although the dawn of the age of the Internet and the inventing of the World Wide Web was still many years away. But this Supreme Court flip-flop forced the United States Court of Appeals for the Federal Circuit to spend nearly two decades struggling with how to reconcile Benson, Flook and Diehr. A rather hopeless task given that Diehr functionally overruled Benson and Flook. CLICK HERE to CONTINUE READING… Up next is discussion of the Freeman-Walter-Abele test, which seems strikingly similar to the resulting law after Alice. “TO BE CONTINUED…” Don’t leave us hanging, Gene. I am looking forward to your current take on Alice and what has happened since then, and particularly your patent prosecution tips. whereby the sort and merge operations are repeated until the body of data signal combinations is sorted in a single string. 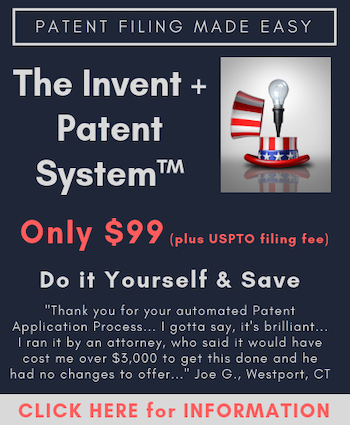 Any idea why U.S. Patent 395,781 to Hollerith (1889) is not considered a “software patent”? Although this patent does not claim a particular software program, it does claim software (the series of cards) and using software to control hardware (the circuit controlling devices/apparatus). 2. As an improvement in the art of compiling statistical matters by the aid of mechanical or electrical appliances, the hereinbefore-described method of preparing and manipulating the circuit-controlling record, which consists in forming a separate record-card for each individual or thing by applying to said card at predetermined places index-points representing all the characteristic items pertaining to that individual or thing and subsequently subdividing the series of separate record cards into groups ans submitting the cards in each group of division to the action of the circuit-controlling devices, substantially as and for the purpose set forth. of the items represented thereby, substantially as described. Software is generally a process and/or an improvement to a machine. BTW … a computer hardware system has a different structure based upon the program residing therein. This truth is something that I believe the technology-adverse SCOTUS doesn’t quite seem to get. Form follows function. Hence, a different function yields a different form. Thank god our claim drafting has gotten better. I would hate to litigate claim 1 that you reproduced above. If you or Benson could have told the USSC at least one, though preferably several “other situations and circumstances” in which the algorithm “could have been used” then the USSC would not have ruled the way it did. To the contrary, Benson admitted for the court that the only real use of the algorithm was in conjunction with a digital computer, just as he had made a claim for. To the contrary, Benson admitted for the court that the only real use of the algorithm was in conjunction with a digital computer, just as he had made a claim for. A point that does not trouble me. The fact that something (whatever it is) has real applicability only in a particular set of circumstances is not surprising and should not be dispositive as to whether or not a claim is directed to an abstract idea. The (horrible) analysis of Benson is less about the claims being directed to an abstract idea and more about the claims being broadly written. Thanks for reading. I do get some sleep from time to time. I guess I’m blessed with the ability to write, albeit as an English language challenged electrical engineer turned patent attorney.